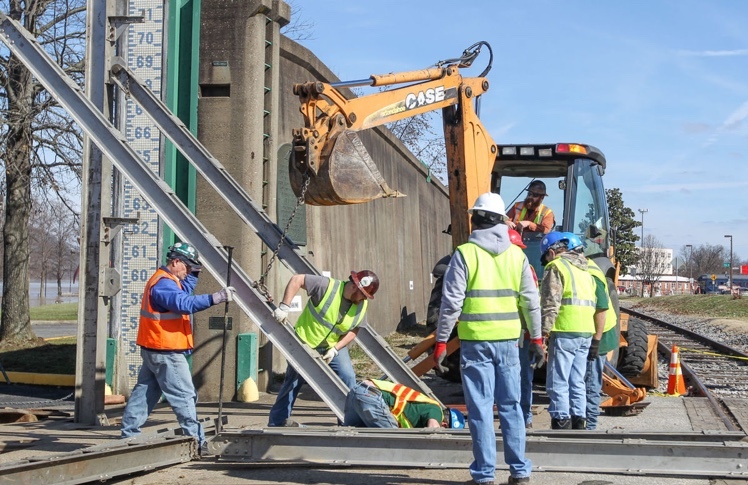 Heavy rains have caused extensive flooding along the Ohio River and AFSCME Council 8 members in Ohio and West Virginia show they will never quit protecting their cities. 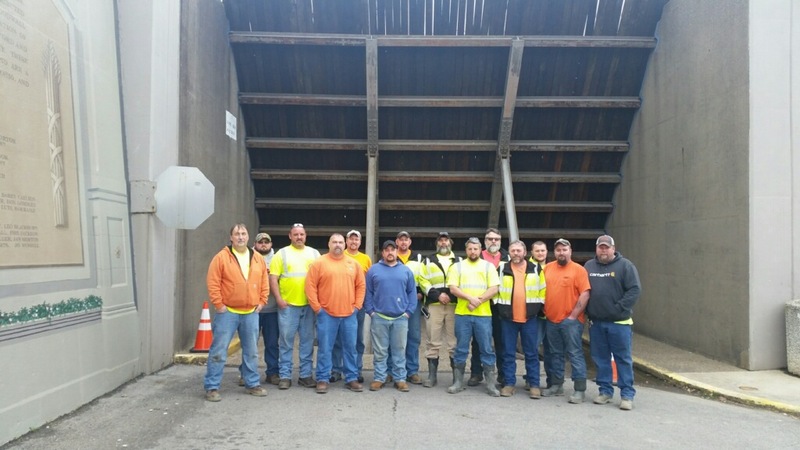 As heavy rain pushed the river above the flood level, the 21,000 residents of Portsmouth, Ohio, called on a team of AFSCME Local 1039 members to protect their city. The crew began putting up gates on February 21 in preparation for rising water, and as the days of rain continued, they set to work putting up the flood walls. AFSCME Local 1039 member Mark Puckett, who heads up the city’s flood defense operations, said protecting the city is a team effort. “It takes all of us to do this and these guys work extremely hard to get the job done. Many of the guys have over 100 hours of overtime during this two-week period,” he said. A few miles east, in Ironton, Ohio, where the river is expected to crest at 57 feet, AFSCME Local 771 member Rich Jenkins is in charge of flood defense for the city of 12,000. According to Jenkins, it takes a dozen men 12-16 hours to put the city’s flood walls up. “This is a team effort. 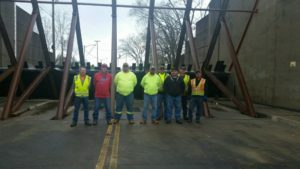 These guys have worked hard around the clock to keep the city safe from the rising water,” Jenkins said. And the crew knows the job because AFSCME Local 771 has represented city workers for 52 years. 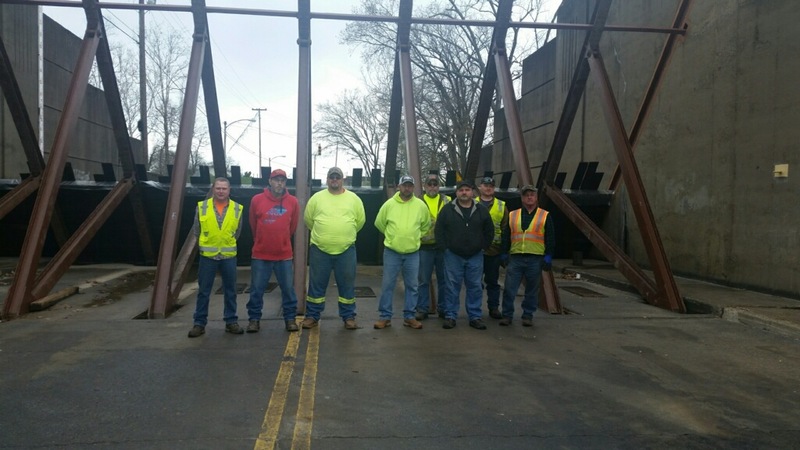 About 50 miles further east and across the river in Huntington, West Virginia, AFSCME Local 598 members are battling to keep the rising river in its banks and out of the city’s streets. Union President Lee Adams said everyone works together to protect the 50,000 residents of Huntington from major flooding. AFSCME Local 598 and two other West Virginia AFSCME local unions joined Ohio Council 8 last year after passage of the state’s right-to- work law. city is a team effort. their city from Ohio River flood waters. clock to keep the city safe from the rising water.